Husky Eagle, Aviation ATEX Approved Manual Dispensing Nozzle - Welcome to Oilybits U.K. The Husky Eagle Aviation Fuel Nozzle is designed specifically for applications involving over the wing refuelling of aircraft. It is a heavy duty, high flow manual refuelling nozzle with handle guard and side protection. Supplied with both a duck bill jet fuel spout and a round aviation fuel spout, this Husky Nozzle is suitable for AVGAS, AVJET A1, Aspen 2 and Aspen 4. 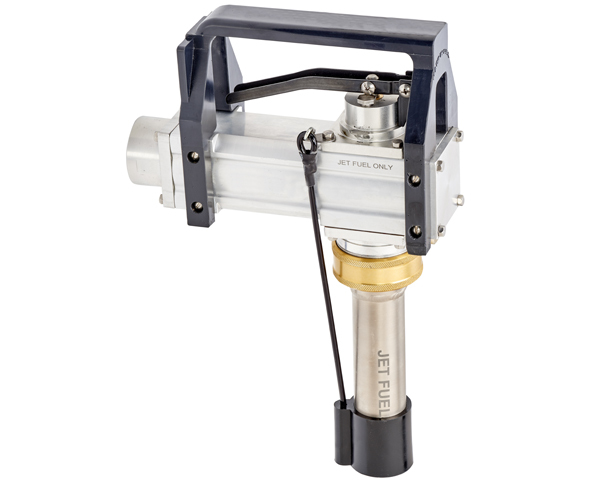 This refueling nozzle benefits from easy operation, fingertip sensitivity, adjustable closing speed and an easy to service stainless steel fuel filter screen. Husky Part Number Description Swivel Included?